Potatoes are a popular winter vegetable. They are easy to grow and they store over winter well. Many people today love them. Oprah Winfrey is quoted as saying “My idea of heaven is a great big baked potato and someone to share it with.” And when potatoes are fried, the fragrance and taste make them ambrosial so that even the poorest person can celebrate with a feast fit for a king in the coldest, darkest of nights. Potatoes were eaten and worshiped by the Incas in Peru and Chile in the year 500 BC. The Spanish who conquered South America took them to Spain in 1565. The Spanish thought they were a kind of truffle. Because it was noticed that those Spanish sailors who had eaten potatoes on board ship did not suffer from scurvy, potatoes were now carried on board Spanish ships. 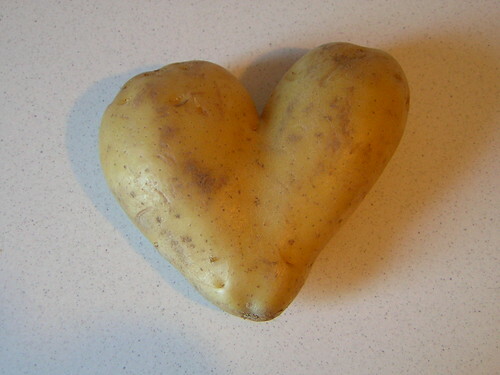 (Potatoes have vitamin C plus other nutritious vitamins. (see here)) The Spanish ships must have brought the potatoes to the early settlements in Virginia because Virginia settlers were growing potatoes from around the 1580s. From Virginia potatoes were taken to England and Ireland. The potato didn’t really become popular in most of the US until about the 1720s. Potatoes are now the fourth most widely grown crop in in the world, and a major staple of several ethnic diets.